Wow! No other word is needed. This one really blows your head off! This wasn't so much a random pull off the shelf as a real desire to hear some Glière. Yesterday I attended a student recital in which a young horn player – Tan Chai Suang – gave a fine account of Glière's Horn Concerto's second movement. I confess to never having heard the piece before and I was absolutely enchanted by its lovely melodies, luxuriant harmonies and gorgeously idiomatic (and demanding) writing for the horn. I realised that all I knew of Glière was the Red Poppy Suite – which is a lot of fun with its ethnic dances and clever little orchestral gimmicks – and when I got home I looked to see what else I had by Glière on my shelves. Out came this – bought God knows how many years ago – and what a stunning thing it is. It's a fine symphony – a little over-heavy on the effect and light on the substance – but greatly distinguished by this simply stunning performance and breathtaking recording. A real must have for the audio buffs, despite being all of 15 years old. A random choice and one which I've had to play a couple of times simply to get to grips with music which should be accessible and coherent, but comes across as incoherent and eminently forgettable. 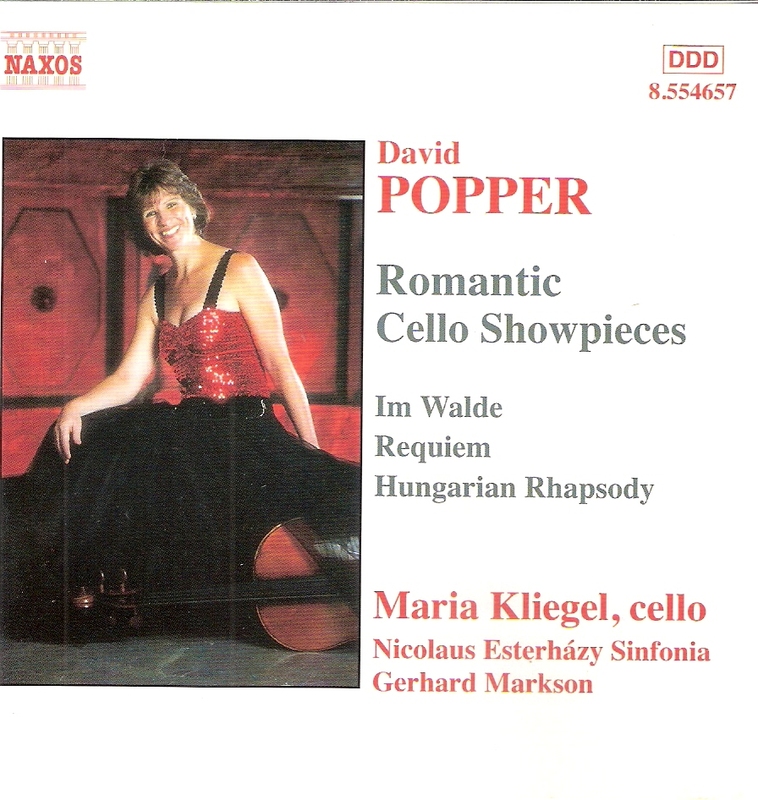 I bought it a while ago when I saw it in a shop simply because for me, as a non-cellist, David Popper (1843-1913) is the man who writes all those unaccompanied studies thrown into graded cello exams, and I really wanted to know if he had ever done anything else. There's a Suite called Im Walde which has lots of the Elgar Cello Concerto about it (without the nice bits), a Requiem for three cellos and orchestra which relies as much on cliché as novelty factor, and a fistful of ditties which sound as if they are simple transcriptions of second-rate songs (my favourite is the colourful Vito). It's harmless enough stuff but Naxos have hardly done the musical world a major service by releasing it from its well-deserved obscurity. 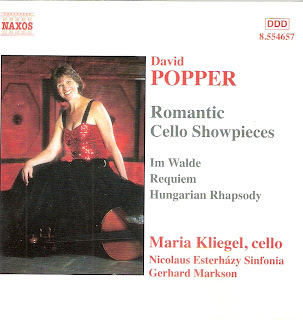 Maria Kliegel's cello makes a lovely sound, the Nicolaus Esterházy Sinfonia sound as if they are all relaxing on thick velvet cushions and Gerhard Markson is clearly happy to let Maria do the work while he just tags along like a well-trained poodle behind her.